We’re leveling up people. 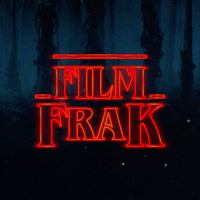 Your ever vigilant Frakkers Jon and Adam are excited to announce several exclusive interviews with an eclectic mix of filmmaking legends, cult heroes and upcoming stars over the coming weeks and months. For our first interview it’s a pleasure to share our unexpected exchange with French born martial arts stuntman, actor and bringer-of-pain Brahim Achabbakhe. Currently exchanging devastating blows to the body and head with Scott Adkins in BOKYA:UNDISPUTED 4 (Watch it on Netflix) and soon to be seen in the upcoming THE FOREIGNER with Jackie Chan and Pierce Brosnan, we hope you enjoy learning more about this rising face of action cinema. Brahim Achabbakhe: First of all, it was a dream project to work on and being part of the franchise for me is amazing. I always wanted to work on one of the Undisputed films since I first saw part 2 in 2007 and 10 years later now I am very happy to be part of BOKYA: UNDISPUTED 4. It feels great to be part of the film with so many amazing martial artists. Brahim Achabbakhe: Being a stuntman is what brought me to where I am today and without that I would have never been able to build such a career. Many big action stars started first as a stuntman like Jackie Chan who can be seen in ENTER THE DRAGON fighting with Bruce Lee. I wanna definitely get more roles in the future and portray bad guy characters because I think this is what I am good at. I had a few offers after BOKYA: UNDISPUTED 4 which almost got booked but if you take failure as a stepping stone then nothing can stop you. This is what I want, to be more in front of the camera as an actor and I will keep trying to follow this path. The stunt work element that helped me during shooting is definitely being able to fight for the camera. There was no time to teach me how to throw a punch or kick like you got to do with actors who cannot fight. I basically learnt the fight Tim Man had choreographed in 2 hours and he would add gymnastic or jump kicks moves I felt comfortable doing. Also the fact that I played in so many pre-visuals which is the rehearsal tape of a movie really helped me during the acting side of it. It’s the same, just the camera is different and you have a few more people around you. Brahim Achabbakhe: Larnell Stovall was the fight, stunt coordinator on this project. I was just back from Russia where I did a film for the Jackie Chan stunt team. Larnell knew me already through social media and asked me to be his assistant stunt coordinator on NEVER BACK DOWN 3: NO SURRENDER. It was a pleasure to work for him and we spent 6 weeks in Thailand doing the film in Bangkok. Michael Jai White cast me in the movie as a bully who basically ends up having to fight Jeeja Yanin. I feel my control and my knowledge of martial arts helped the production because when you’re fighting with a female even though she knows how to fight, you really need to be cautious on how hard you throw your punches and kicks. I really liked fighting with Jeeja Yanin and working with Michael Jai White. I hope to collaborate with MJW again one day because what he is doing with the NBD series is very good. Brahim Achabbakhe: Working on that project was another stepping stone. It was my first time working in China back in 2012. What I learnt the most during that movie was about timing. Timing is the number one aspect Chinese, HK movies are about. It is not about how many back flip you can do or how many twist you can perform. Yuen Woo Ping’s stunt team is really demanding on your timing and on the beauty of each of your techniques. I played a Taekwondo fighter in the movie so I had to do all those fancy kicks in front of Tiger Chen’s face who had to duck and dodge all of them using Tai Chi. Control was also key to make sure I don’t hurt him during the fight with one of my kicks. 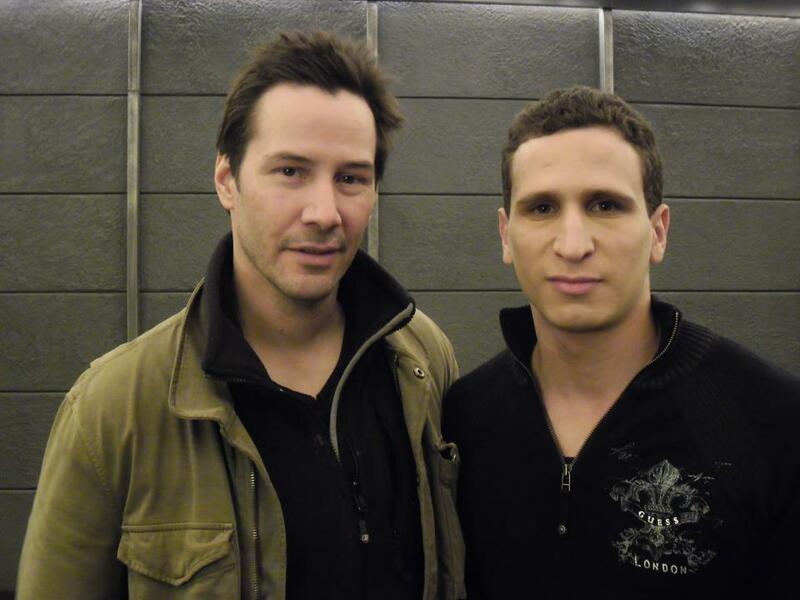 Keanu Reeves is first of all one of the most humble actors and directors I’ve ever worked with. He approached the fight scenes like a real professional and did not treat you as a fighter but as an actor. I remember him adding lines to my character telling me Ok after you hold your leg up bring it down slowly and shout “come on let’s fight”. That kind of detail made me happy because I saw he cared for every one of the fighters on the film. It was a privilege working with those people. 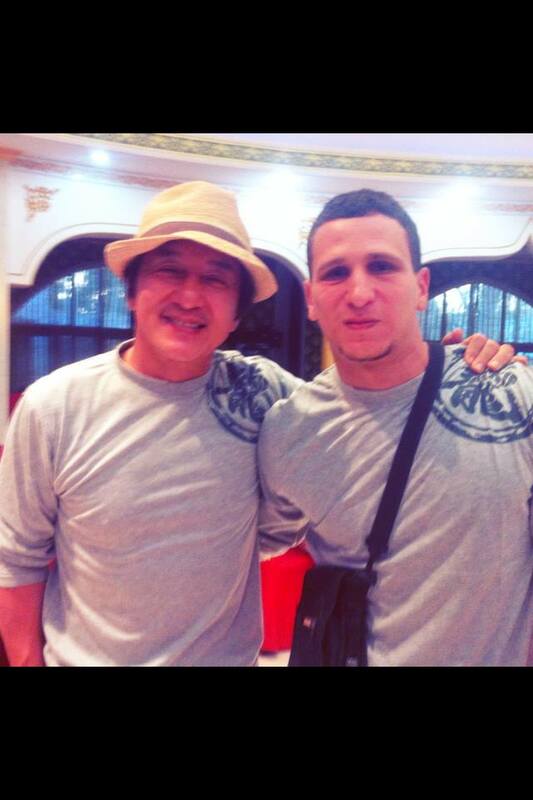 Brahim Achabbakhe: Working with Jackie Chan was always something I wanted to do since my childhood because I am, was and will always be a huge fan of his work. His films made me start martial arts when I was 14 years old. My favorite Jackie Chan films are WHEELS ON MEALS where he fights Benny Urquidez and the POLICE STORY series for the amazing stunt work him and his team displayed in the films. I love the rhythm and physical performance Jackie had in all those films and I always go back to watch them to get inspired. I try to keep my style and not copy his work too much because I see so many young guys trying to do what Chan and his team already did about 20 years ago. Get inspired yes, but have your own style is my way. Brahim Achabbakhe: That’s correct. I just wrapped that in New Zealand where I worked on the project for 4 months. It’s a Netflix TV show for young and adult audiences who loved the Old Monkey TV show from the 70’s. I was fight choreographer on the project and designed all the fight scenes you will see in the TV show. I cannot say much right now but I am sure the martial art fantasy fans will love the series. The whole stunt team worked hard on it. Brahim Achabbakhe: I started to be a stuntman and action actor in Thailand back in 2007 with all the post ONG-BAK Thai action movie madness. We had a lot of martial art actors who came to Bangkok to try to get on movies and build a career. In the last 2 years I honestly rarely work in Thailand due to the budgets that are being offered nowadays. The best years to work in action films in Thailand were between 2006 and 2014. Those were great times because many films used to come to shoot here and required a lot of martial art actors. The pay was good compared to the cost of living in Thailand which is really minimal. Nowadays I would recommend any aspiring martial arts actor to travel to Indonesia or China. They have more work in action movies and they still produce local quality action films. I still live in Bangkok because I love the city and this is where I started so I feel like this is my home but I work all around the world. Thailand is a great country though with very hard working movie crews so if producers want to shoot films, it is definitely the place to go. Brahim Achabbakhe: I started Aikido back when I was 14 years old because honestly it was the closest martial art there was to my house so choices were limited. I liked it but needed something using legs and hands so I heard of this Karate Wado Ryu school, so I joined that as well 1 year later. My style is a mix of different martial arts I trained over the years and also gymnastic and acrobatic kicking. If you work in action movies as a stuntman or action actor, you need to learn as many disciplines as possible and over the years I trained in Aikido, Karate, Kung Fu, Taekwondo. Brazilian Jiu Jitsu, Boxing, Muay Thai to make my style versatile and adaptable to any films I might get hired for. Nowadays I have my own style and it’s important so you can make yourself unique. Brahim Achabbakhe: Bruce Lee without a doubt. The legend did so much for martial arts and his philosophy was unique. A special thanks to David J. Moore for making this interview possible. David is the author of The Good, the Tough & the Deadly: Action Movies & Stars 1960s-Present , World Gone Wild: A Survivor’s Guide to Post-Apocalyptic Movies and PR Man @videovalhalla.